Whatever your job and your experience, if you are honest, do you really feel qualified to find and buy a French property without some expert (and unbiased) advice? Even if you speak good French, it is probably unlikely that you have a perfect understanding of how the French property market works. There is, of course, plenty of information out there on the internet but there is also plenty of misinformation and it is very difficult to differentiate the two. Even if you have bought lots of properties in the past, the French property market is different to many property markets. 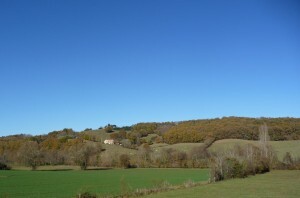 On the internet, there is no Zoopla or equivalent multiple listing site of all of the properties for sale in a particular area in France and, in addition, most houses appear on a large number of different sites, often at different prices with different photos all of which can be very confusing. In addition, of course, these listings are there to sell the property, not to give you the true picture of what the house is really like. There are certainly plenty of estate agents in France and they will be incredibly helpful and nice when you visit them in their offices but try seeing how many reply and keep you up to date with new properties when you are contacting them from abroad; it can be a very frustrating process according to most of my clients who have tried it before coming to me. Remember an agent is there to sell you a house on their books and they are really not interested which one or whether it truly matches your criteria. Most of these agents work on a commission only basis and so they just want to sell you a house and the more houses they show you, the more likely they think they are to sell you something. What’s more, they only have a limited number of properties to sell and those only in a small area so you will probably need to deal with numerous agents to ensure you get information about every property for sale in the area you are looking. It is true that coming to France to view lots of properties can be fun to start with but those trips (there are likely to be many) will soon become a huge waste of time because most of those houses you have booked to see, will turn out to be totally unsuitable. If you have plenty of time and not much else to do, this probably doesn’t matter but, if you are short of time, there are probably better ways of spending it. When time is precious and getting it right is important, why not ask a property finder to do all the research and leg-work for you? A property finder will already have a feel for what is on the market that matches your search criteria and budget. They will deal with all the agents in the area but also the notaires and private sellers and they will also be able to dig out houses that are not on the open market. Once they have done the initial research, they will pre-visit all of the houses which appear (on paper) to match your criteria and it will be their time wasted rather than yours when the majority of these properties do not in fact match up to their promises nor meet your requirements. When your property finder does finally view a house which seems to be a good fit, they will take photos of how it really is and write up a report for you so that gradually you will have a short-list of houses that really do match your criteria. Hence, when you finally make that trip to view your short-list of box-ticking houses, you know already that it will not be a complete waste of everybody’s time. It will be a well organized and managed few days to maximize your time and show you everything that you have already pre-approved. Moreover, you know that, when you finally meet your property finder, he or she will be completely impartial and able to give advice on all aspects of buying property in France, living in France and will offer an in depth knowledge of their region. Plus, they will be completely on your side before, during and after the sale.